So you’ve decided to build your own computer, but you’re not exactly sure where to start. Or maybe you are sure, but you don’t really know how it all goes together. Building your own computer system can be an exciting and rewarding experience. Nothing displays your style quite like a custom built computer. At the same time, it can often be confusing and seem overwhelming. After all, no one wants to mess up their brand new rig after having saved up to buy it! There are many parts that make up a computer system and they all must be compatible with each other to work, otherwise, your system may not run smoothly, or even run at all. Lucky for you, I’m here to help with that! In this article, we’ll go over everything step-by-step, and talk about what you need to look for to make sure everything in your system is compatible with everything else. Your first decision is deciding what processor and motherboard you’ll be going with. These two components go hand in hand and are the deciding factor that determines compatibility for the rest of your build. You see, many of the other parts have broader compatibility than a processor-- or are less important-- so this factor often ends up being the driving force behind your whole build. Generally, there are two main lines of processor you’ll be choosing between for a gaming PC: AMD’s Ryzen line and Intel’s Core line. The Ryzen line has been made fully forward and backward compatible for the foreseeable future (and it only just started in 2017, so you shouldn’t have to worry about that unexpectedly changing anytime soon). However, each new generation of Intel Core processors needs a new motherboard to go with it. To make sure your motherboard will be compatible, you will need to look at what socket and chipset your processor is compatible with. The socket refers to the physical slot on the motherboard that holds your processor in place. This should be easy to determine by just looking up the socket size for both the processor and motherboard you intend to use. If you try to pair a processor with the incorrect socket type, you can ruin the processor and/or motherboard. Below are a couple of examples to help you know what to look for. Next is making sure the chipset allows for the features that you want. Chipsets are part of the motherboard and will determine its capabilities. Put plainly, chipsets are just sets of chips. As technology has progressed along, certain motherboard operations that needed their own chip downsized and integrated with other chips, giving us the word chipset. Processors support multiple levels of chipsets, usually ranging from basic features on a motherboard such as the AMD Ryzen A320 chipset which will not allow overclocking, to more advanced chipsets, such as the AMD Ryzen X370, which unlocks full overclocking and more. Form factor should also be considered when choosing a motherboard as their size may vary a good bit. Smaller boards often have less RAM, and GPU slots, as well as well as fewer SATA connections. These are just the standard desktop sizes. There are more motherboard sizes for other applications. The ATX motherboard is the most commonly used sized for a standard sized computer, and is probably the one you will want to use unless you’re looking for something significantly smaller or larger. What was the next section… Oh right, memory! 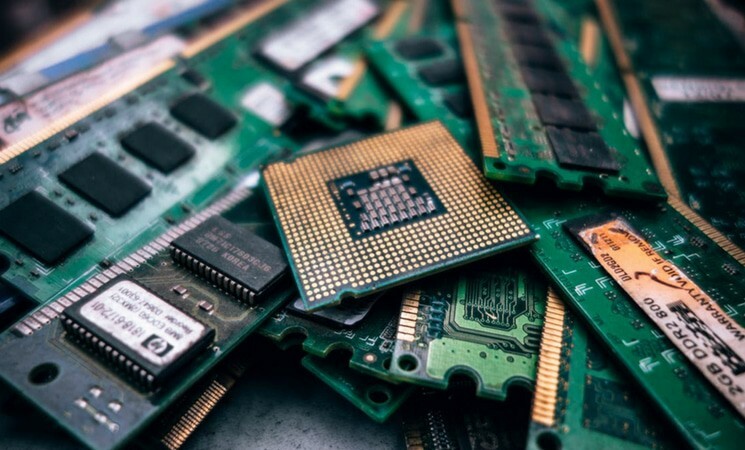 RAM, or Random Access Memory, is often misunderstood and can be confusing when it comes to speeds and what it’s compatible with. A lot of casual users won’t need to worry about maxing out their RAM, but maybe you want to build a beast of a machine and max everything out. If this is the case, then pay close attention to what your motherboard’s max memory is. Typically, a modern motherboard will support up to 64GB of RAM, but some support more or less than this. When looking at what RAM is capable of, your biggest concern is speed. For DDR4 (the current generation of RAM), the stock speed is maxed out at 2133Mhz. Anything after this is technically an overclock. When RAM is rated over 2133Mhz, it’s not a stock speed. In that case, it’s letting you know it’s rated to be overclocked to that specified speed. If buying RAM rated for higher than 2133Mhz make sure and check that your processor supports that speed. When searching for RAM, you may see mention of it being compatible with either AMD or Intel processors. Don’t worry, this doesn’t mean that one won’t work for the other. Often RAM will come with two “XMP” profiles set by the manufacturer that’s optimized for a specific processor. Most processors of either brand will usually work with these profiles, although sometimes may need a little tweaking for higher rated speeds. RAM also commonly comes in single, double, and quadruple channel kits, allowing more bandwidth. While double and quadruple channel RAM is mostly standard, double check that your motherboard is compatible. GPU aka Graphics cards: AMD Radeon vs Nvidia. Graphics cards not only often give you the biggest boost in performance for gaming, but are often the most forgiving part of your build. Forgiving concerning compatibility, not your wallet; graphics cards are expensive. Motherboard compatibility is not usually an issue concerning graphics cards, as these do not require a video card specific socket or chipset. PCIe is backward compatible, so even a PCIe 3.0 graphics card will work on an older motherboard that only has PCIe 2.0. Although, PCIe 3.0 has more bandwidth allowance, so it is optimal. Although running multiple graphics cards in a single computer isn’t entirely uncommon for a powerful gaming rig, it is still one of the most common compatibility issues. However, this is becoming increasingly less common as more graphics cards support being running in sets. In order to run multiple graphics cards, you will need to find models marked either “AMD Crossfire or Nvidia SLI.” This is the way AMD and Intel bridge two graphics cards together. Graphics cards marked either “SLI or Crossfire Ready” can still be used by themselves, though. Making sure your hard drives are compatible. There’s not a lot to consider when choosing a storage solution, as most drives still use a standard SATA data and power connection. 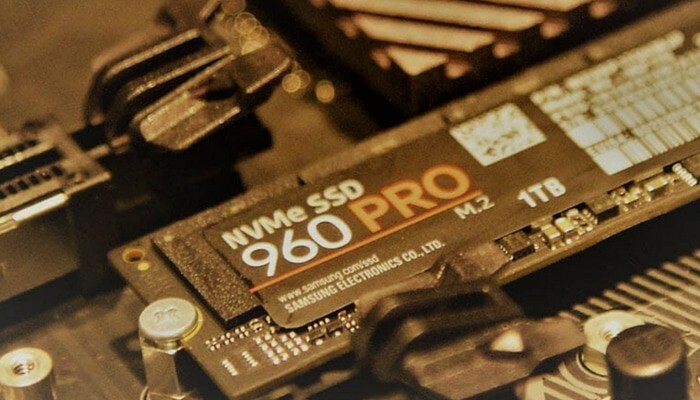 However, if you’re planning on using a newer NVMe type SSD drive, you’ll have to check your motherboard specs as some may not yet support it. The most commonly used NVMe drive is an M.2 form factor, which uses a PCIe mini connector on the motherboard. M.2 drives are often associated with a number, such an M.2 2280. This lets you know the length and width of the drive, as some motherboards will only allow for a shorter M.2 like an M.2 2240. You can have multiple drives and storage types in your computer, provided you have adequate connections. Mixing and matching is also all right as a NVMe, SSD, and mechanical drive are all compatible with each other. Does a case really matter? When checking for compatibility, it absolutely does! There are three main things that you want to think about when checking for compatibility: form factor, graphics card clearance, and airflow-- which is important enough to get its own section. Motherboards come in multiple sizes, and you will need to find a case that matches. Some smaller cases may have limited room for the graphics card. Each case should list the max graphics card height and length limit, and each graphics card should provide their dimensions for you. Other concerns for size include the space of your cooling solution, whether it be fans or something more advanced, and extended memory you might wish to take advantage of. I can’t begin to recall how many times someone has come up to me asking me why their computer is running so sluggish, only to open the system up and find they don’t have adequate airflow. When your system is suffering from heat issues, your components throttle their performance to keep from generating even more heat. Sometimes this doesn’t work, and the system has to shut down to protect itself. I consider cool to be one of the most essential factors to consider when checking compatibility. If your components don’t work because they’re too busy trying not to overheat, then compatibility doesn’t matter. Even something as simple as making sure the case has intelligently placed fans to allow for airflow is better than nothing and can save a lot of headaches in the future. When upgrading from your stock cooling, you’re going to need to make sure it matches your motherboard’s socket. Processor heatsinks sit right on top, which means it’s using the same socket as the processor itself. Whatever cooler you decide to choose needs to be compatible with the processor socket as well. When choosing a liquid cooling option, you will need to make sure your case has enough space. A liquid cooler utilizes a radiator that usually has between one to three fans, and will need a case with a compatible fan layout. Your components have specific power requirements, and making sure that your power supply matches these is critical otherwise it can’t run. Your motherboard will have two areas that need power: the motherboard itself, and the processor. Your motherboard will be using a 24-pin power connector, and your processor power ranges from 2-pin power to 8-pin power requirements. A graphics card could use anywhere between a 4-pin to a 12-pin connector, depending on how much power it needs. Hard drives and SSDs that use a SATA connection will also each need power to be supplied to them. If you plan on using multiple drives, make sure your power supply comes with enough connectors. If you plan on adding anything extra such as LEDs and fans that don’t run off motherboard power, make sure your power supply has the correct connections. If you’re not sure how large of a power supply you need, Cooler Master has a great calculator that I recommend. You can find it here. There are many monitor styles on the market to choose from, and they come with a variety of features and upgrades compared to their ancestors. The three most commonly used connector types right now for displays are DVI, HDMI, and Displayport. Most graphics cards now will have at least one or two of these connectors, usually at least an HDMI. High-resolution monitors are on the rise and are coming down in price, making them more affordable than ever. Before you go out and buy one, you should make sure your graphics card is rated for a higher resolution, as most graphic cards are still not capable of truly running 4K graphics. Depending on your graphics card, you may be able to get a monitor with some advanced features such as a higher refresh rate or Freesync/G-Sync enabled. Maybe even both if you have the budget. AMD FreeSync and Nvidia G-Sync are great features to have on a monitor if your graphics card supports it. On select compatible graphics cards, this allows game frame rates to sync with your monitor’s refresh rate to help avoid screen tears. We’ve now talked about what parts are essential to your computer build, and how to make sure they’re all compatible. This can be a lot of information to remember, especially if you’re new to this. In order to help with this, I’m going to provide a handy checklist that you can use to make sure you don’t forget anything. From knowledge to action: what will you decide? Now that you’re armed with the information you need to make sure your system is compatible, you too can become a computer building pro. What will you build? It may be a lot of information to process at first, but with time this checklist will become second nature. After a while, you’ll realize you don’t even need to reference it, and you’ll find you already know whether a component is compatible or not without even checking the specs. I hope this article helps you, and I can’t wait to see the builds you guys come up with after reading this article.